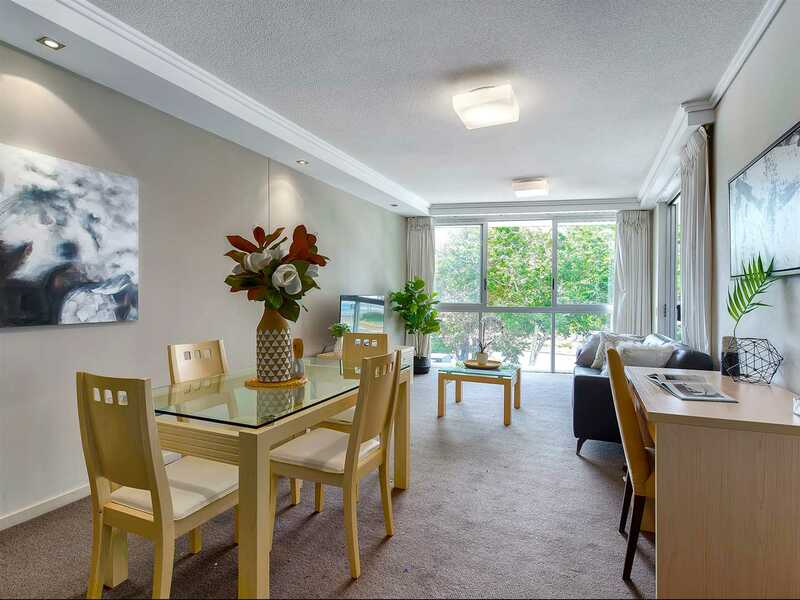 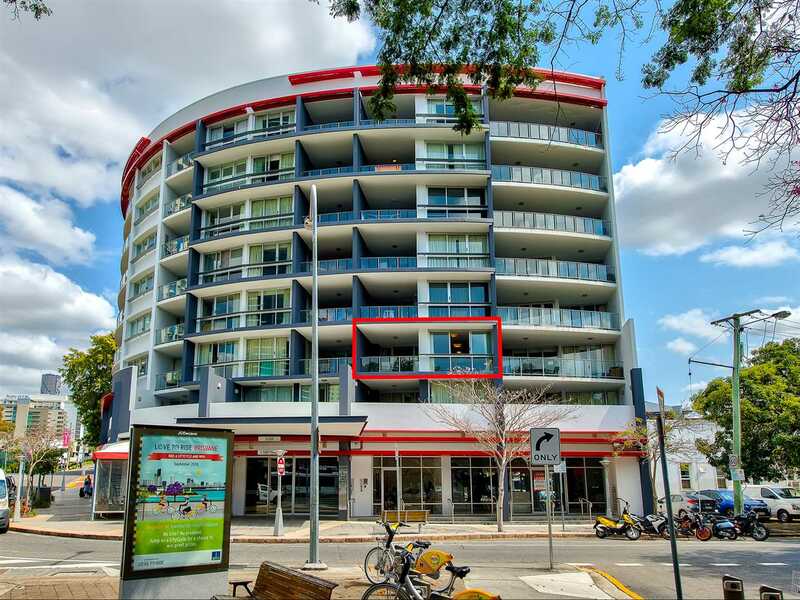 The Hub Apartments is located on the boundary of the CBD and Fortitude Valley. 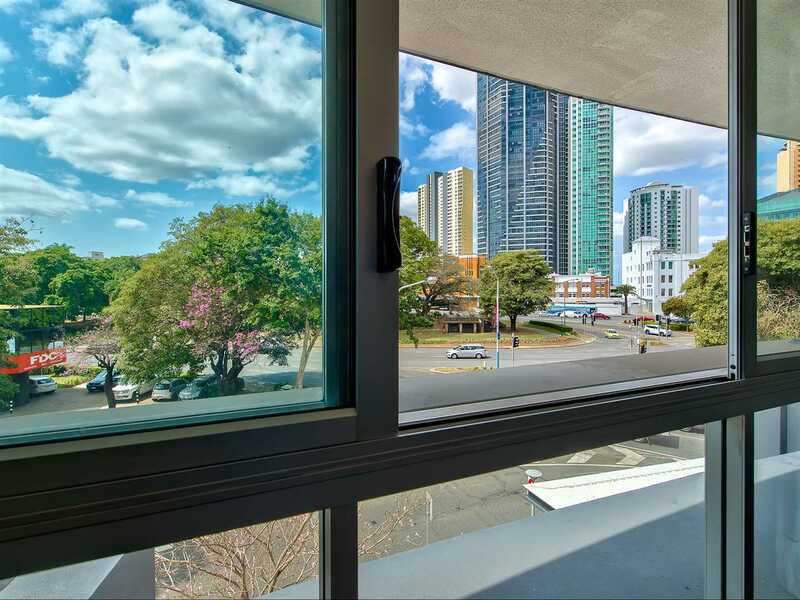 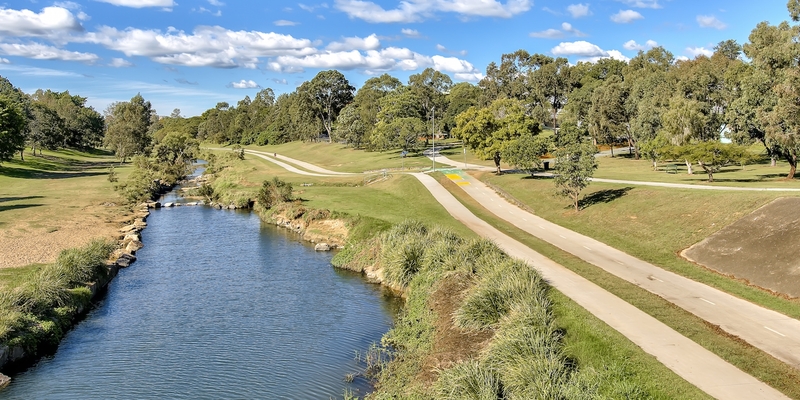 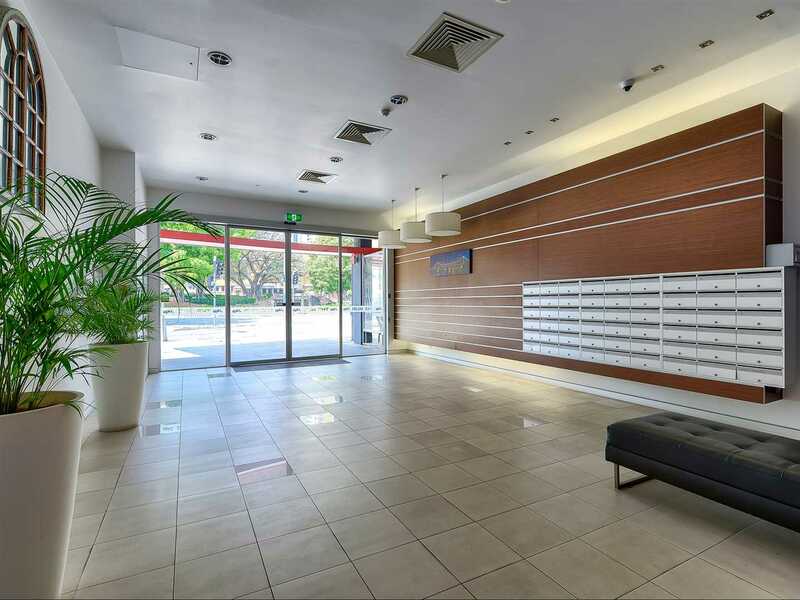 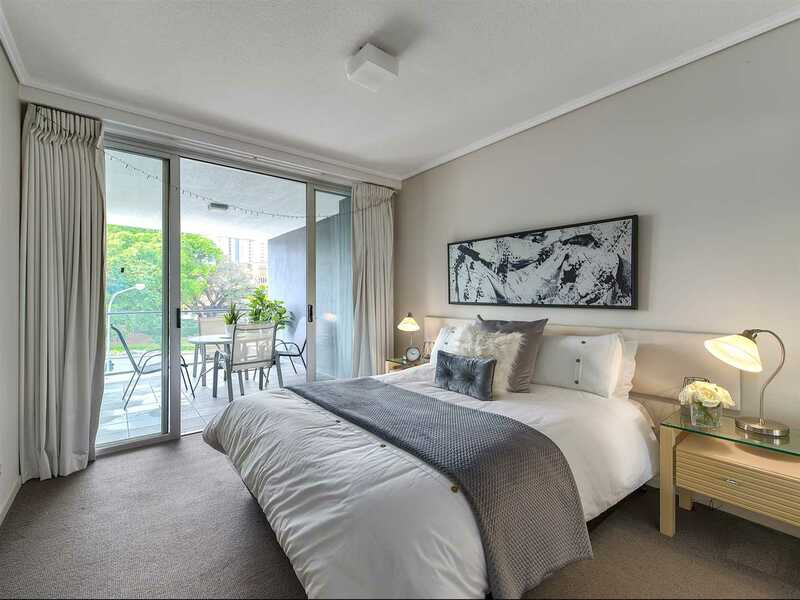 Leave the car at home with this great location, easy walking to work or play in Fortitude Valley or the City, direct access to public transport, restaurants and everything that inner city Brisbane has to offer. 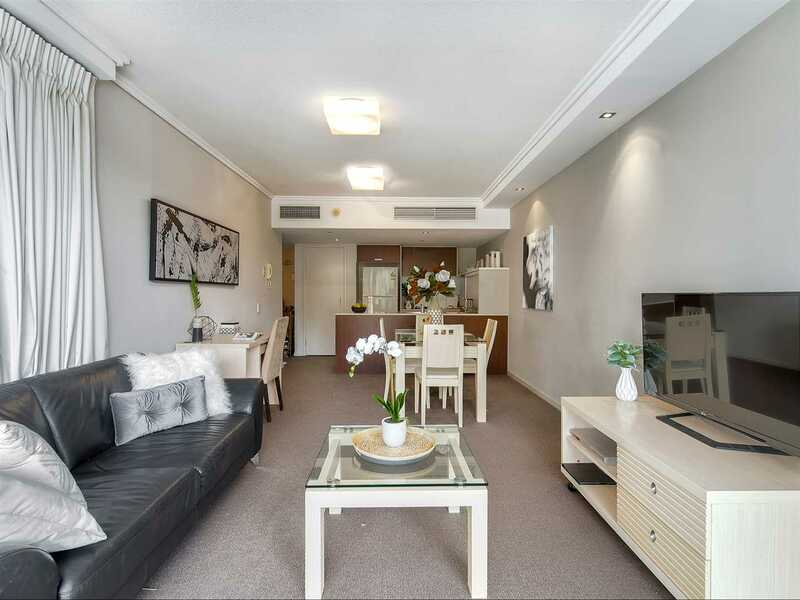 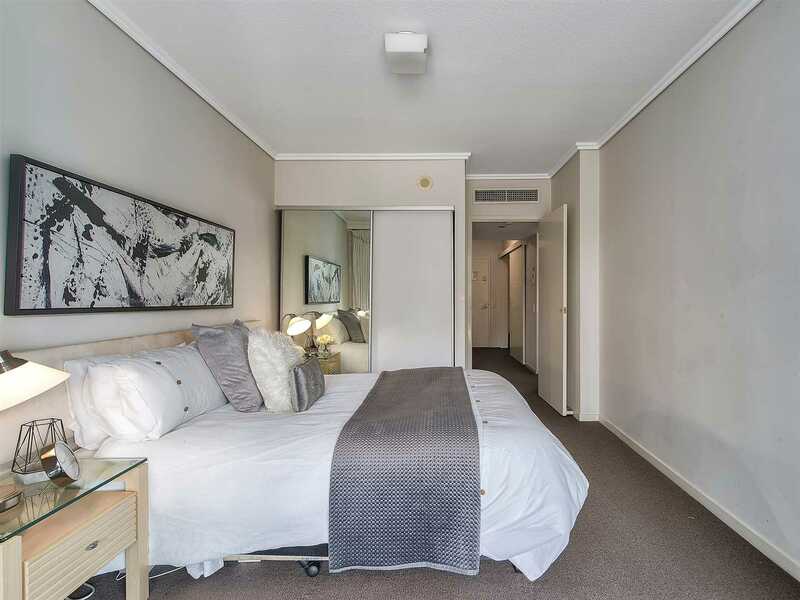 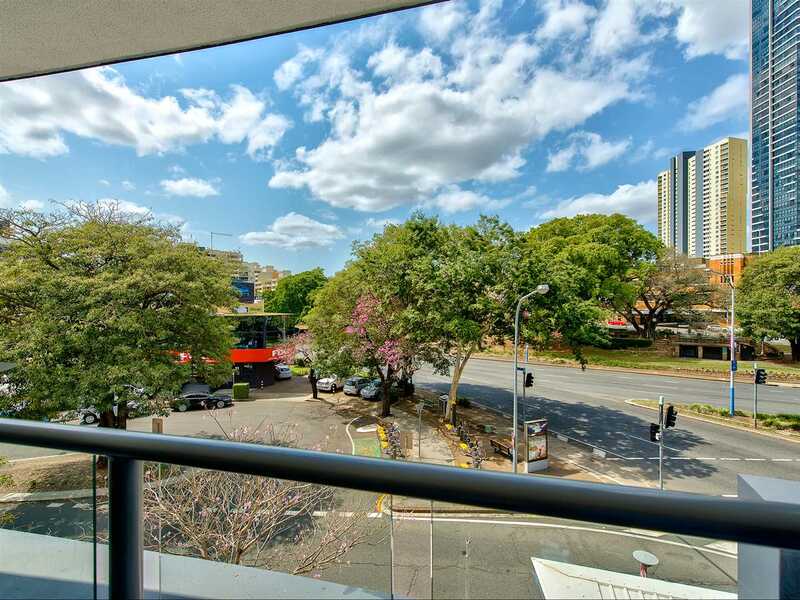 This tidy, low maintenance apartment situated on the 2nd floor apartment is well-appointed with leafy urban views over Centenary Place. 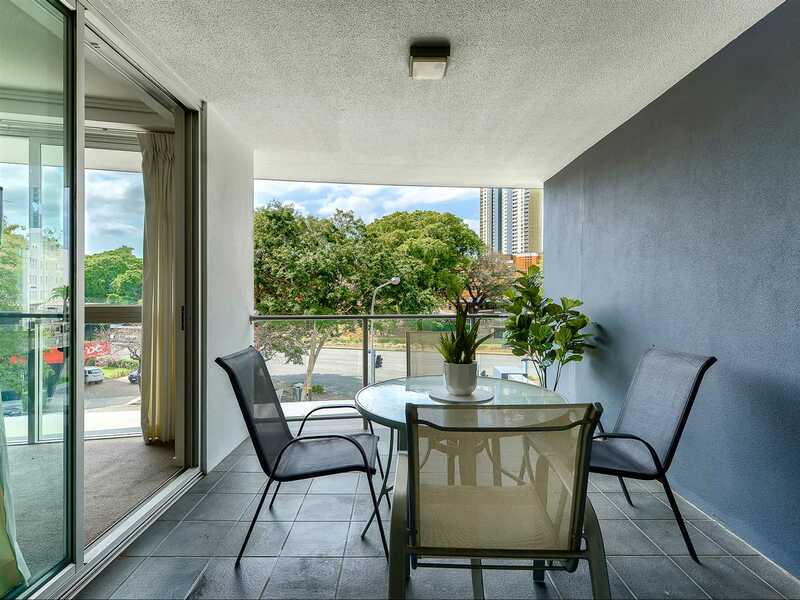 The spacious layout has been thoughtfully designed with floor to ceiling glass letting in plenty of natural light and sliding door access to a large covered balcony from the living room and master bedroom. 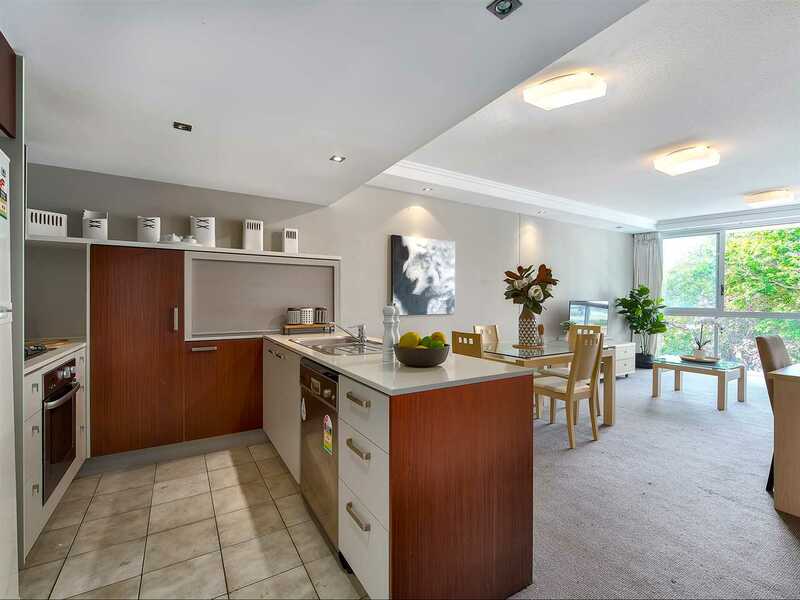 The living flows through a full size dining area to the open plan kitchen and breakfast bar. 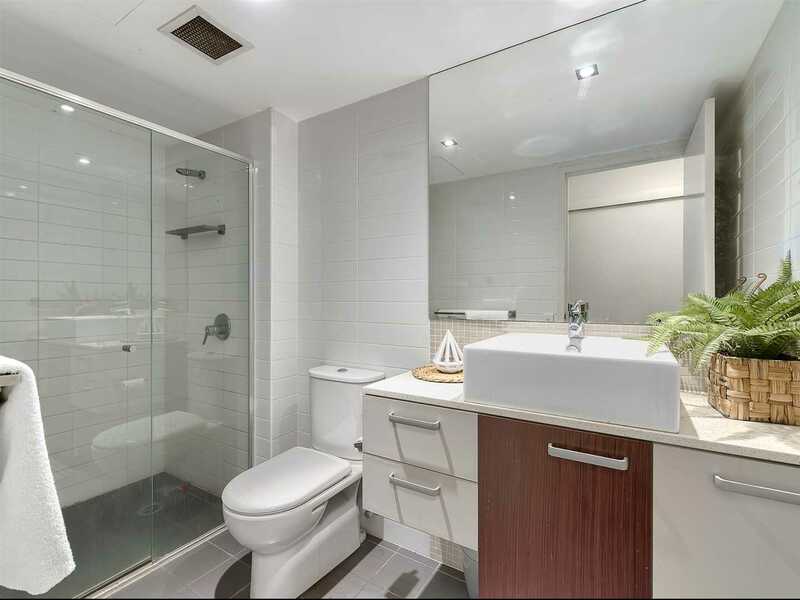 Both bedrooms have built in wardrobes and are separated by the modern bathroom with oversized shower and a separate laundry tucked away in a bi-fold cupboard near the entrance. 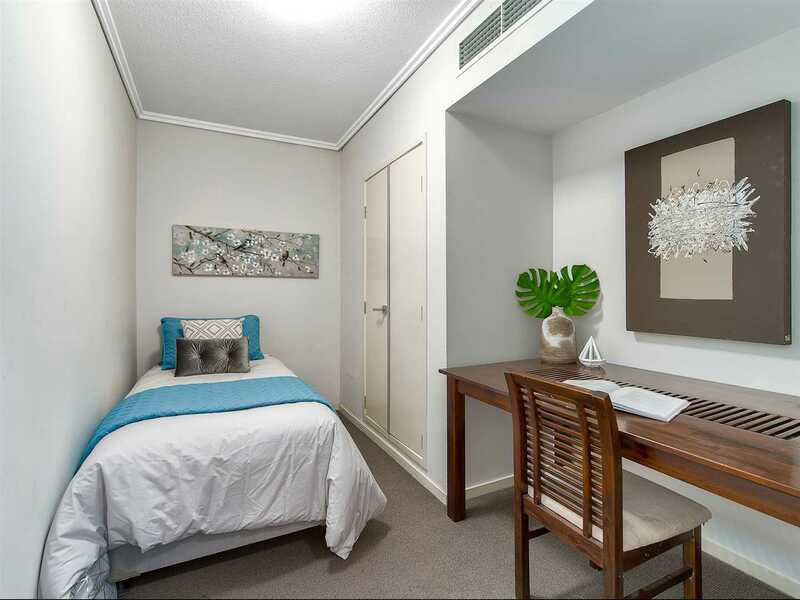 The bedrooms are also well separated at opposite ends of the entrance hallway. 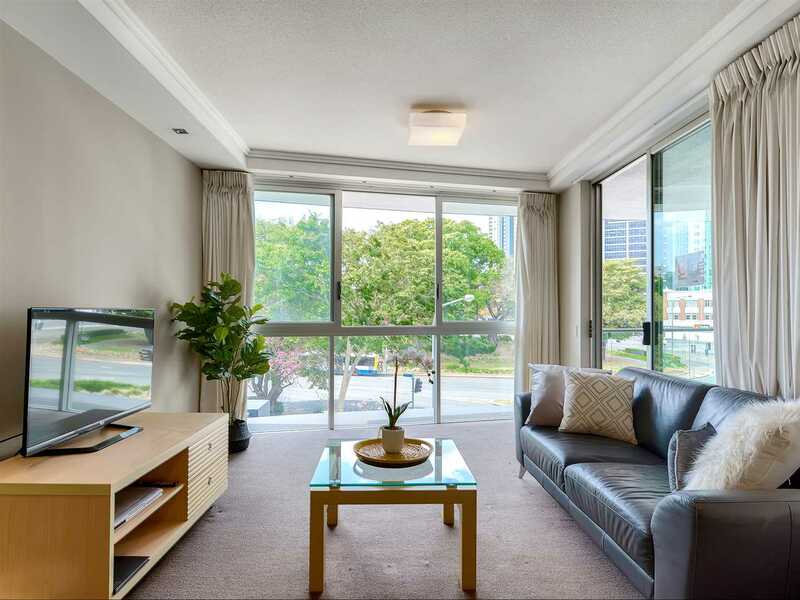 Quality furnishings - Lounge suite, coffee table, office / study desk, dining suite, outdoor dining suite, TV, TV cabinet, DVD player, Artwork on walls, Hitachi fridge / freezer, 2 beds, 2 bedside tables, clock radio, lamp, ornaments, Front loader washing machine and dryer. 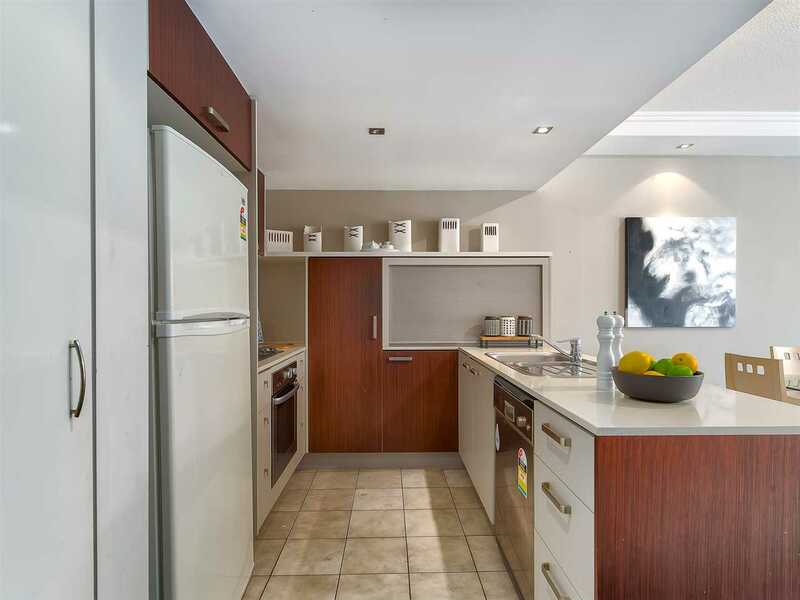 Ideal as your inner city residence for private use, short or long term rental. 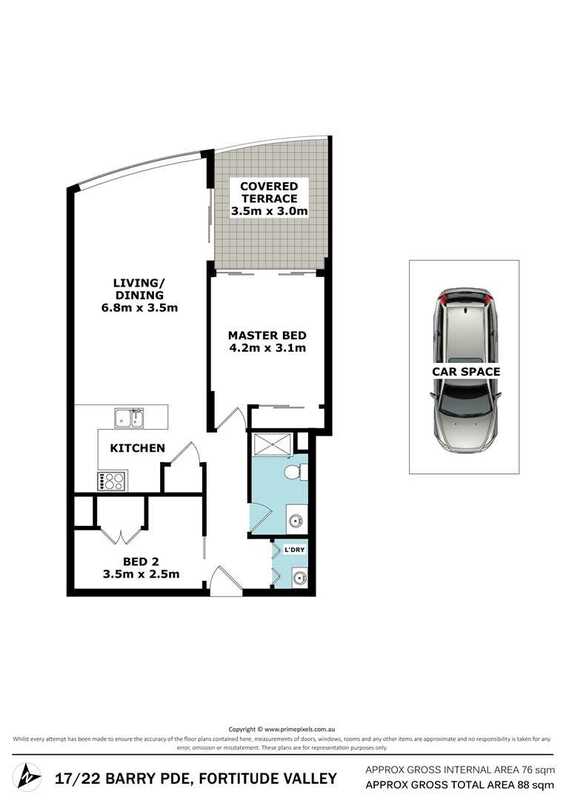 Register your interest to view this outstanding investment today!